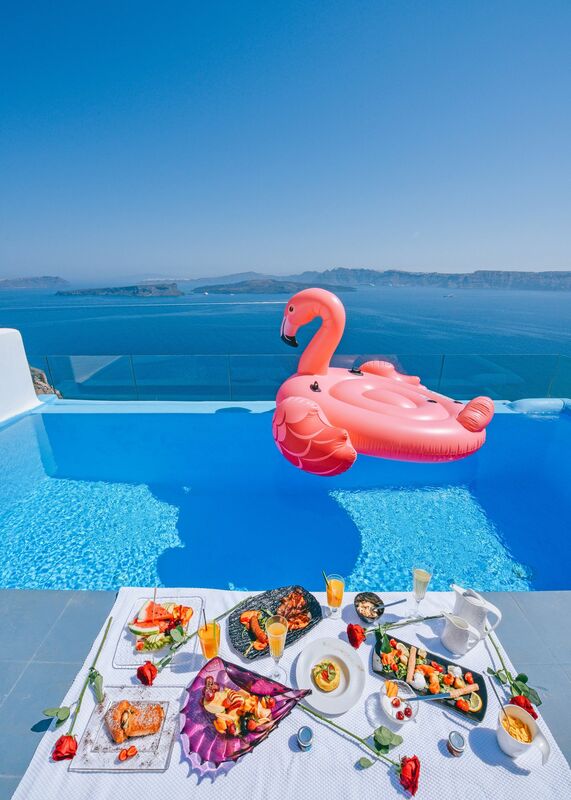 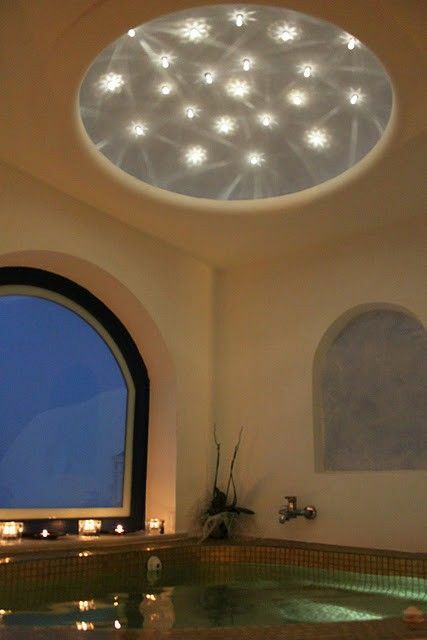 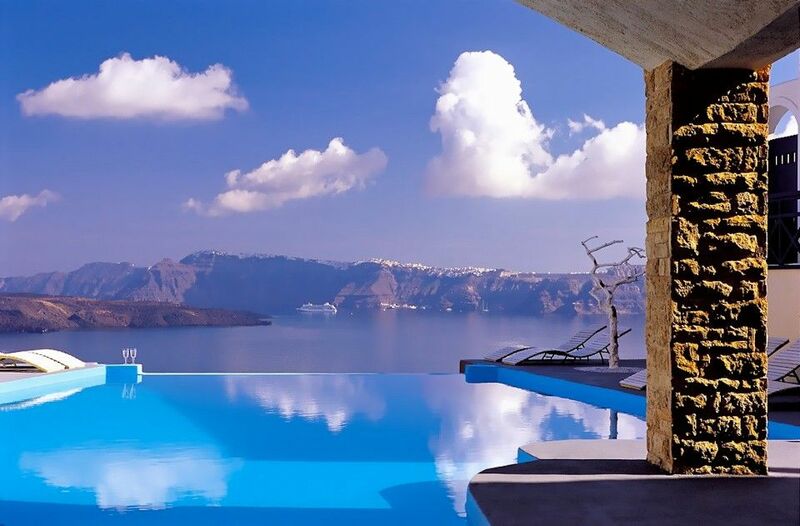 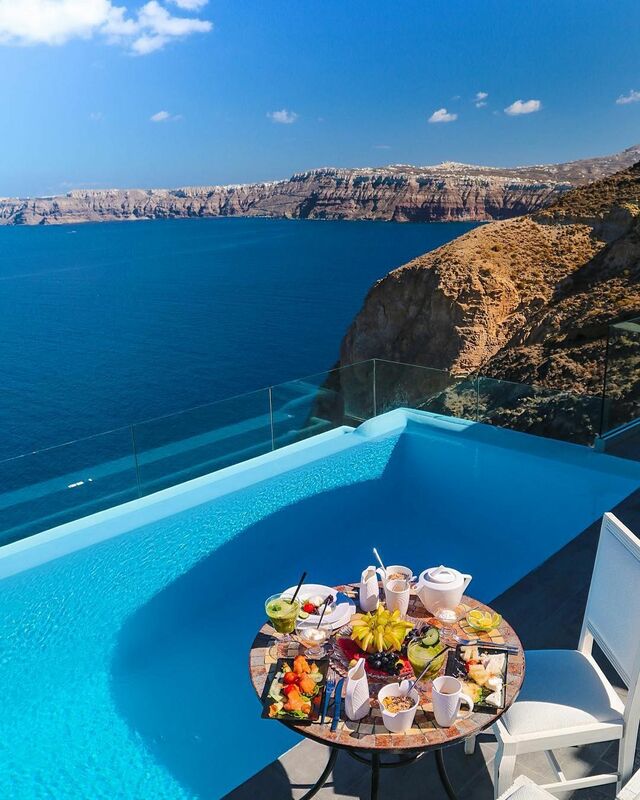 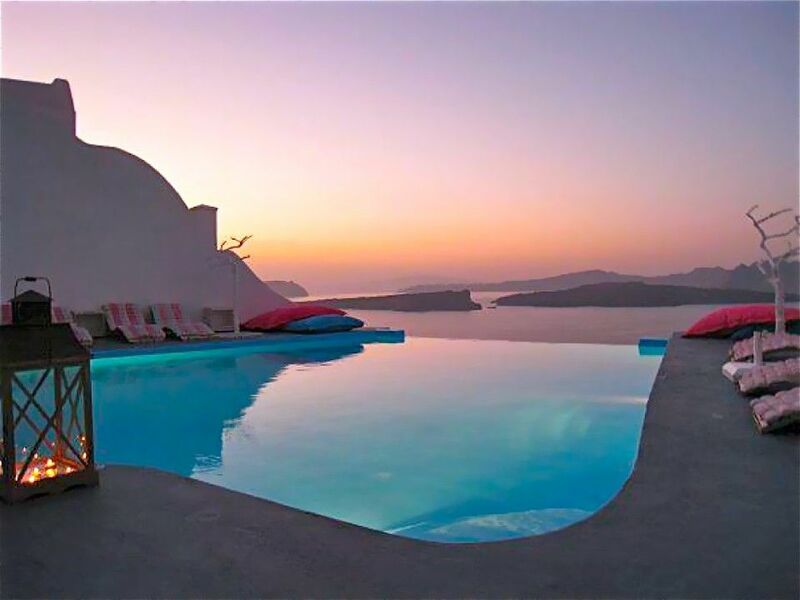 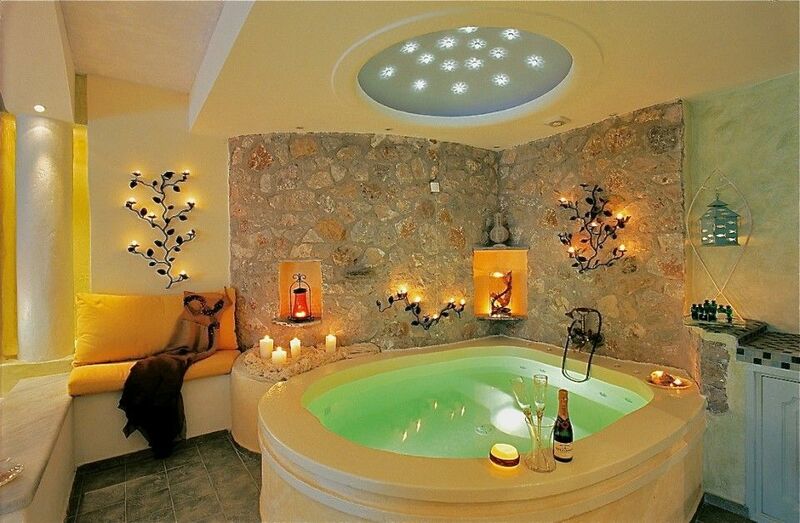 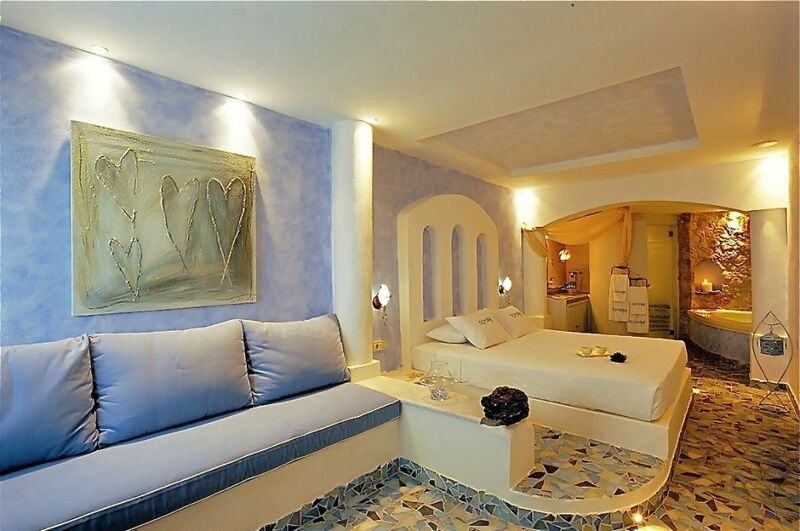 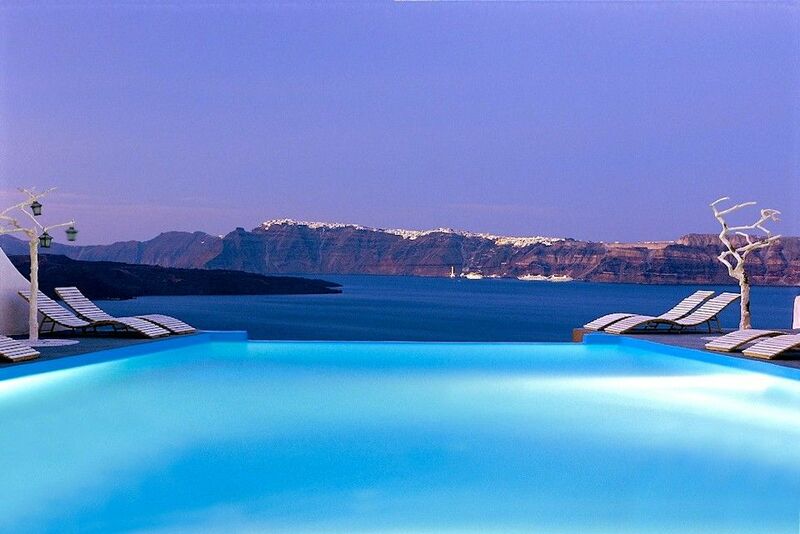 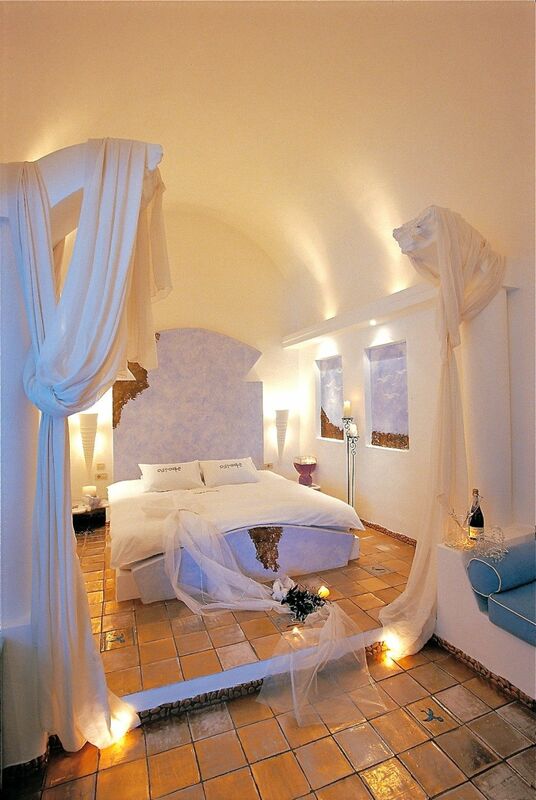 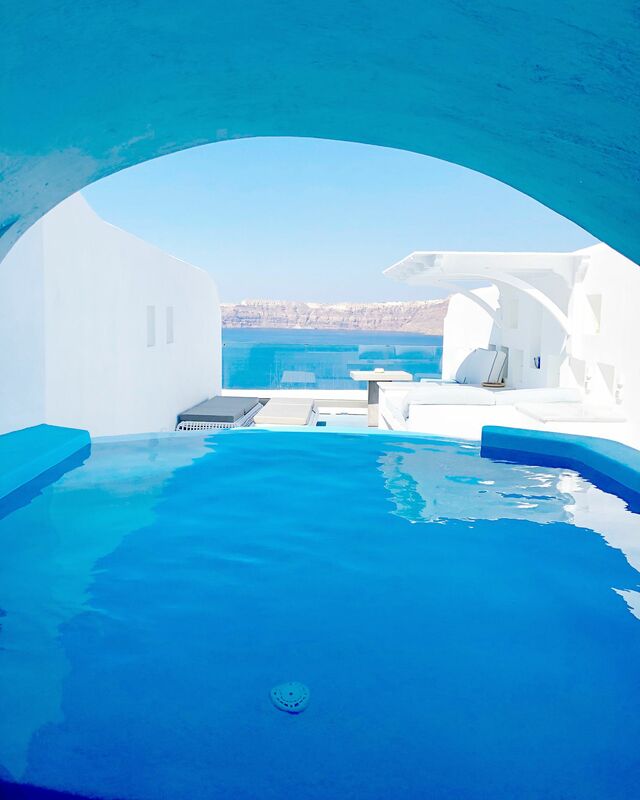 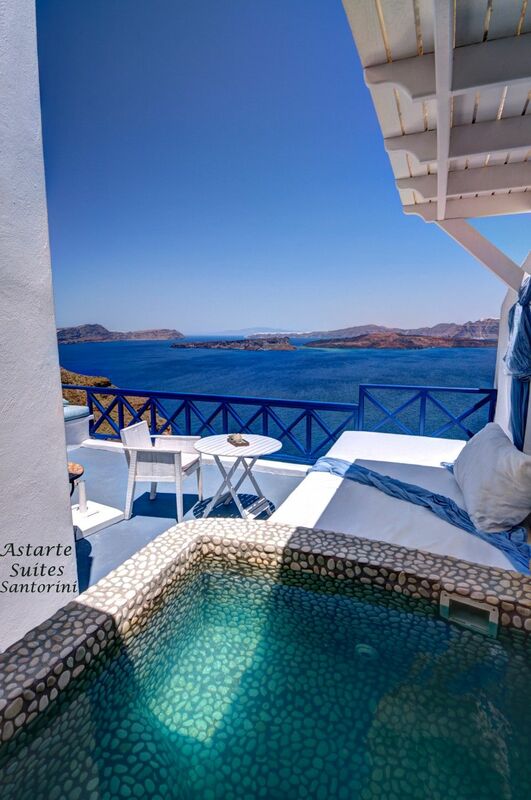 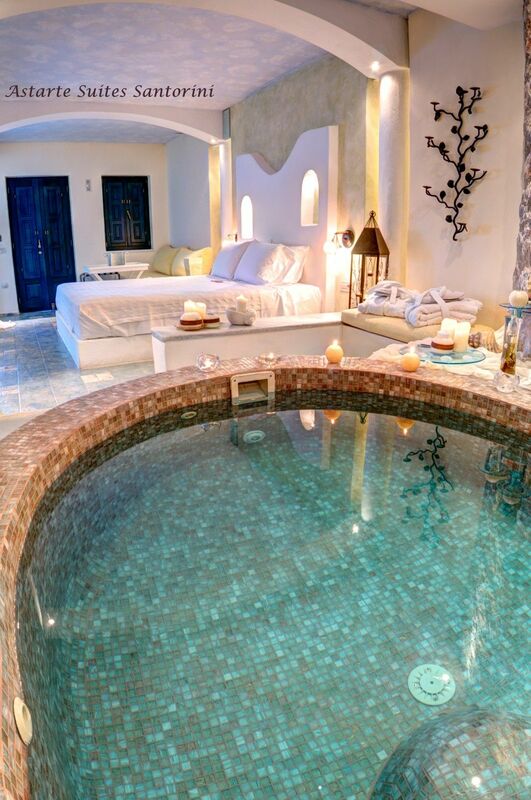 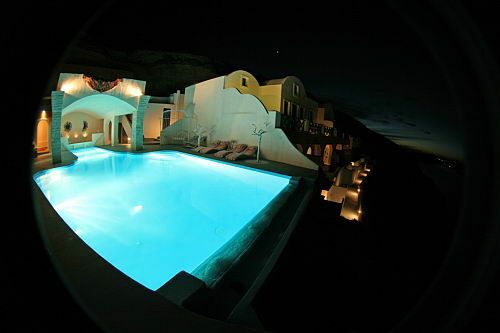 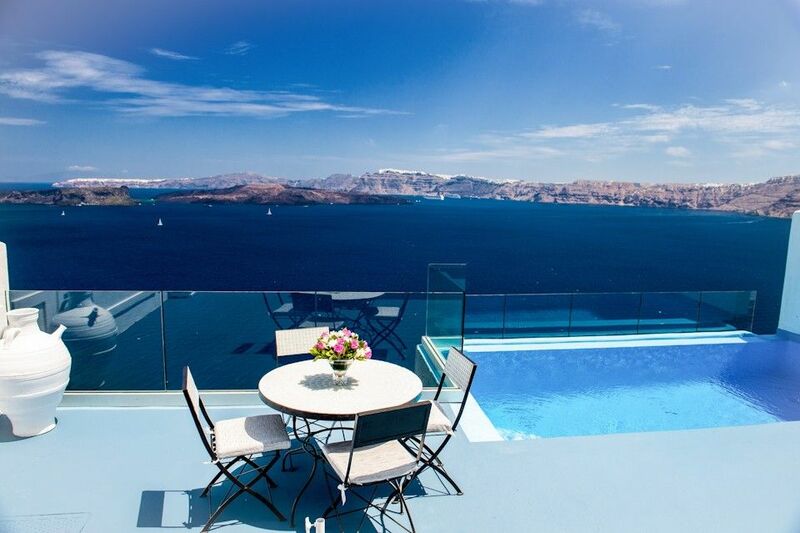 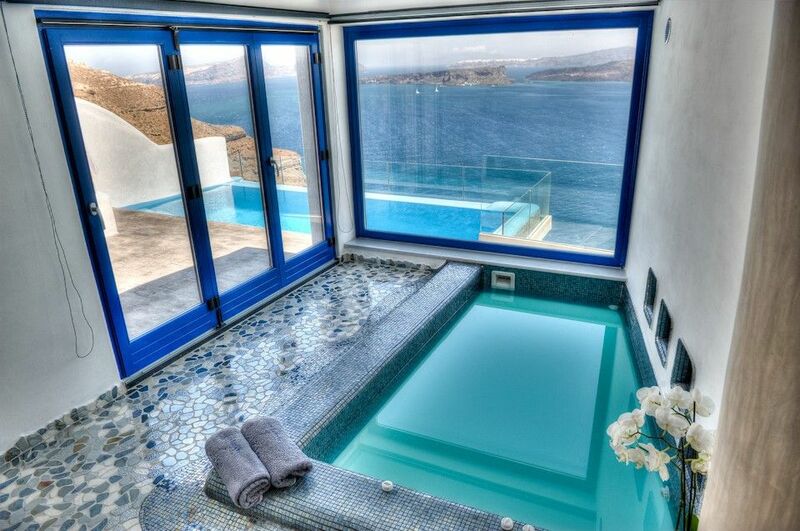 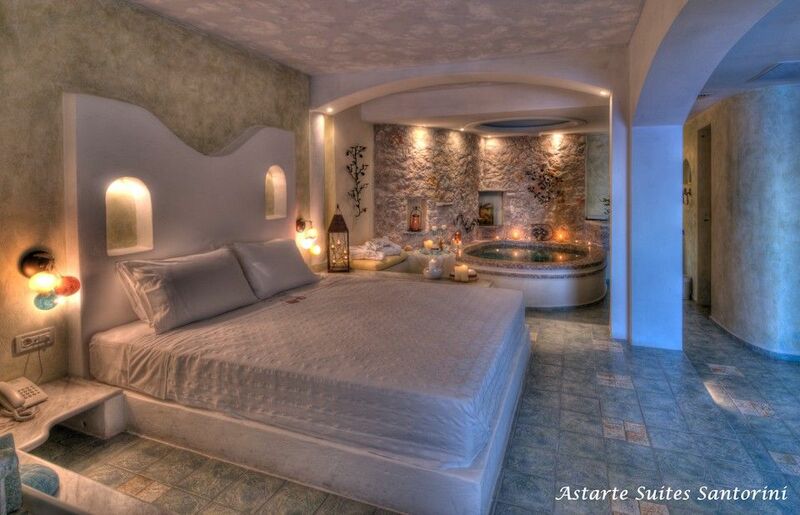 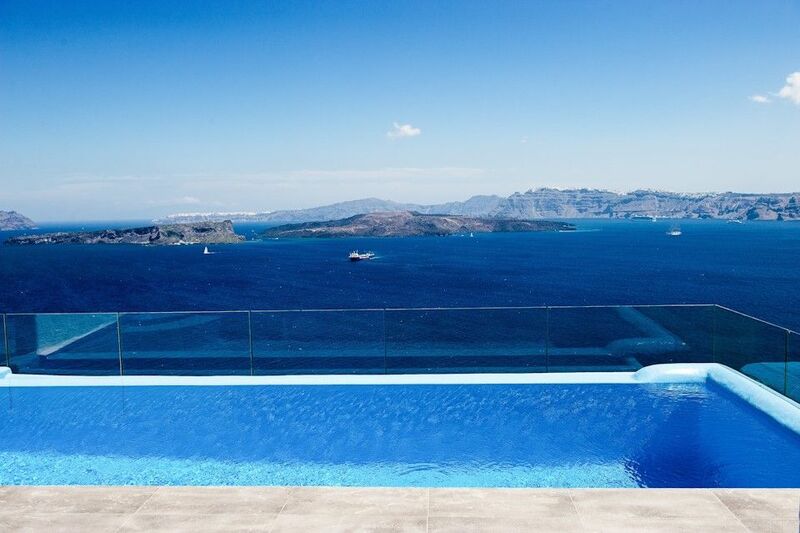 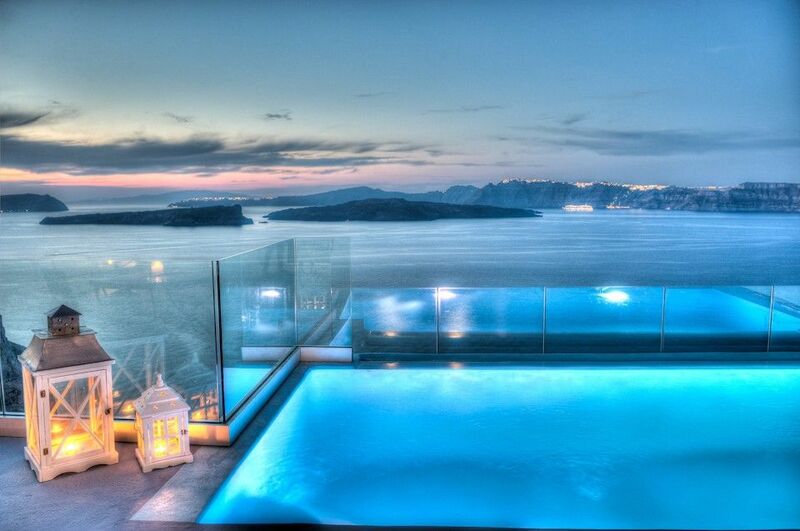 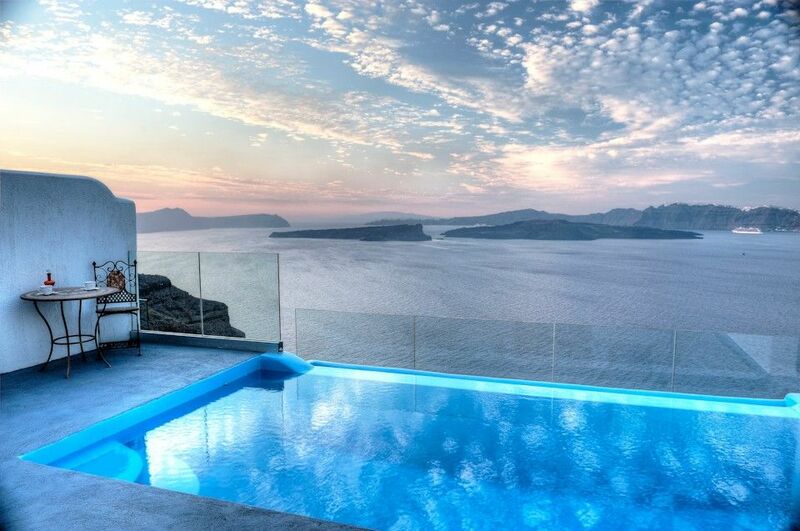 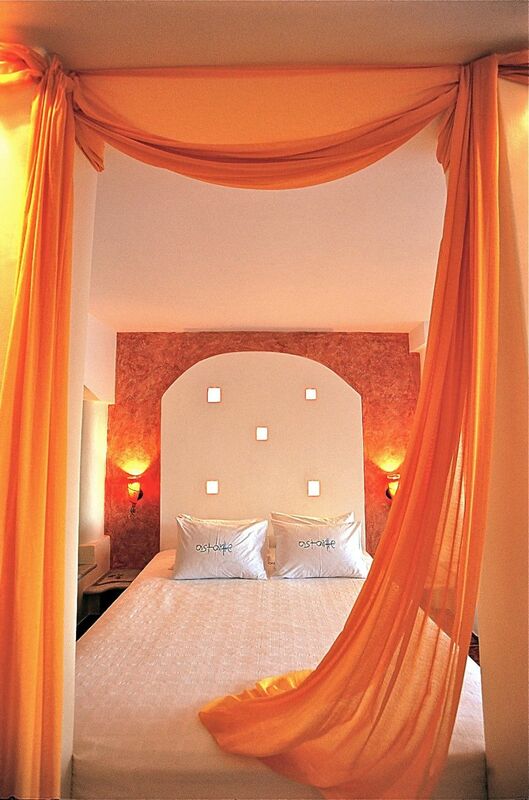 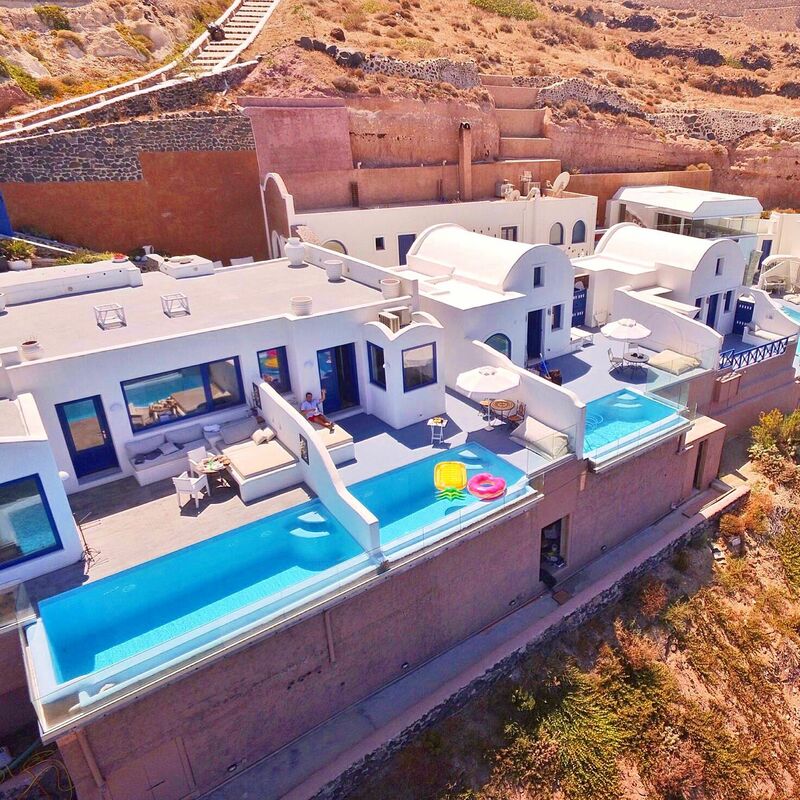 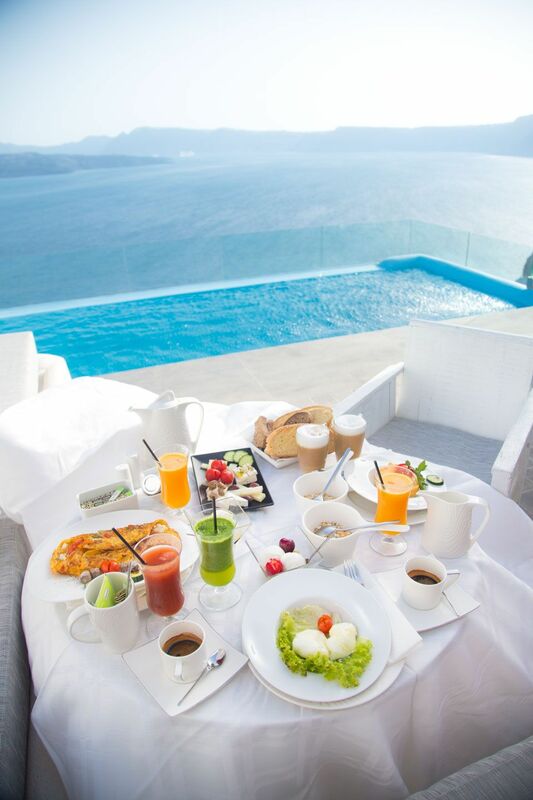 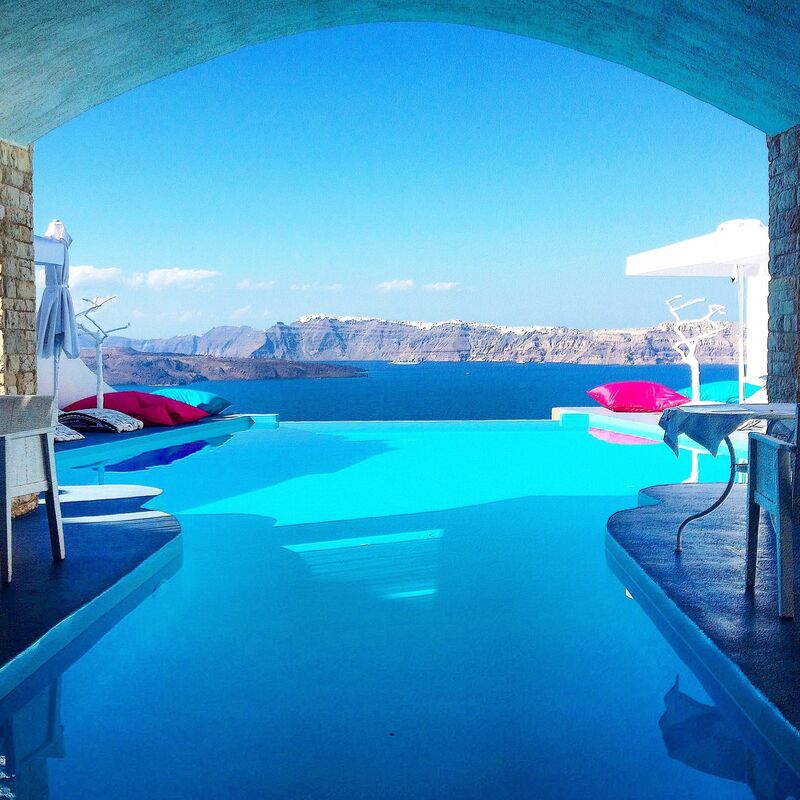 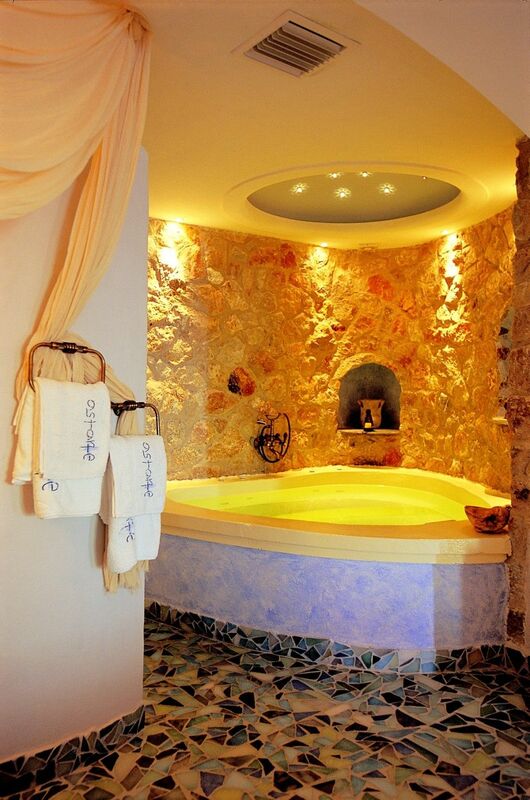 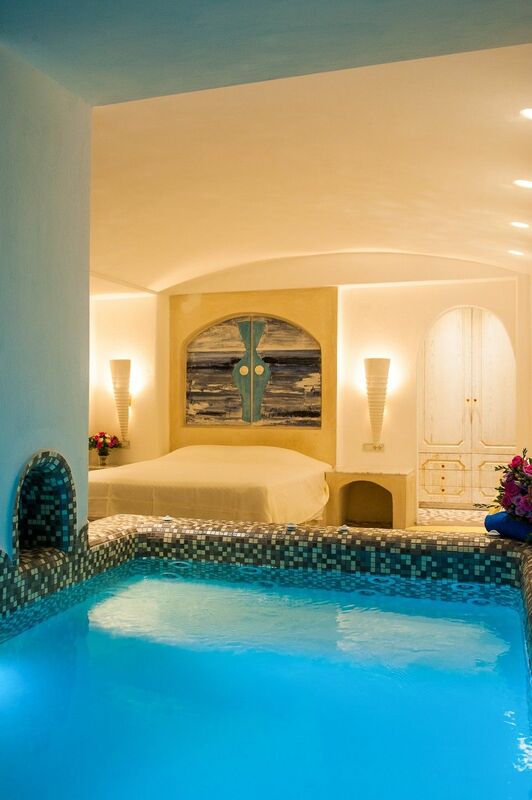 Astarte Suites is a 13-Suite luxurious boutique hotel literally hanging from a cliff in Akrotiri’s Caldera. 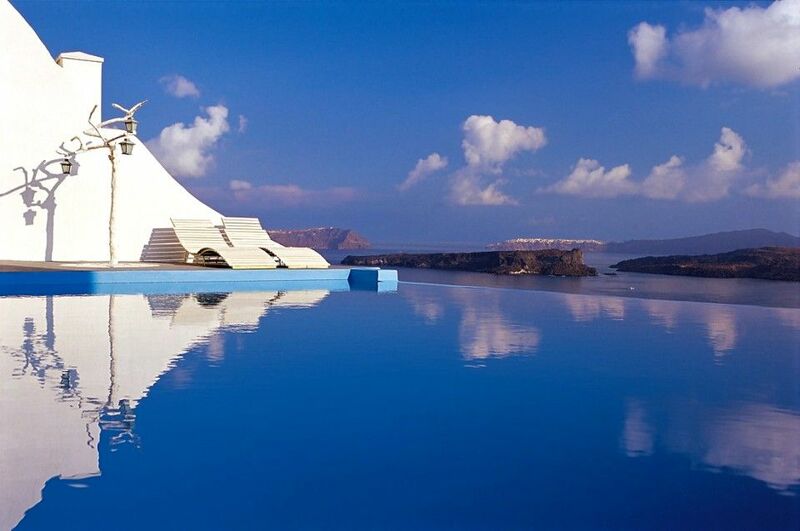 The breathtaking view of the Aegean Sea and the Volcano will dazzle you from every corner of this amphitheatrically built hotel. 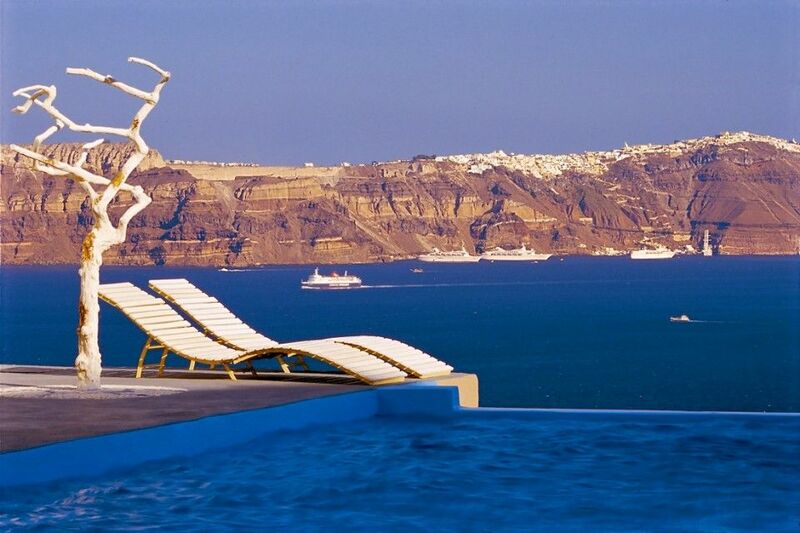 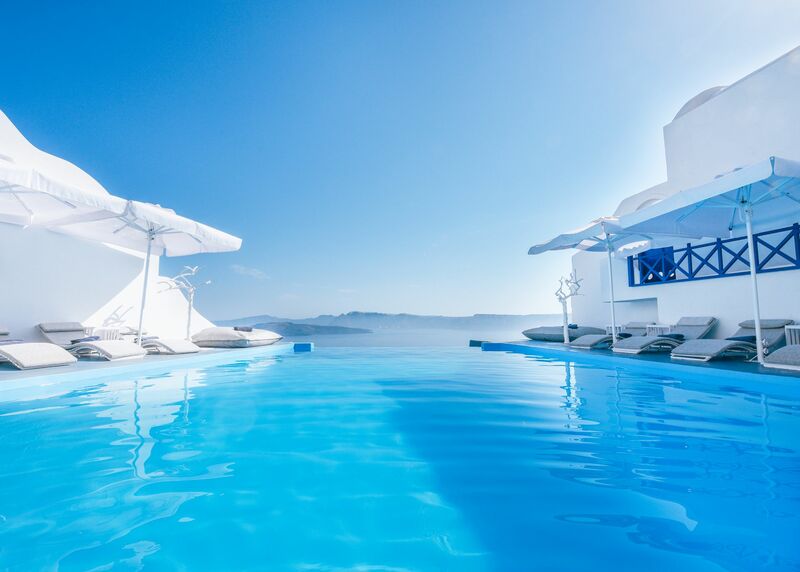 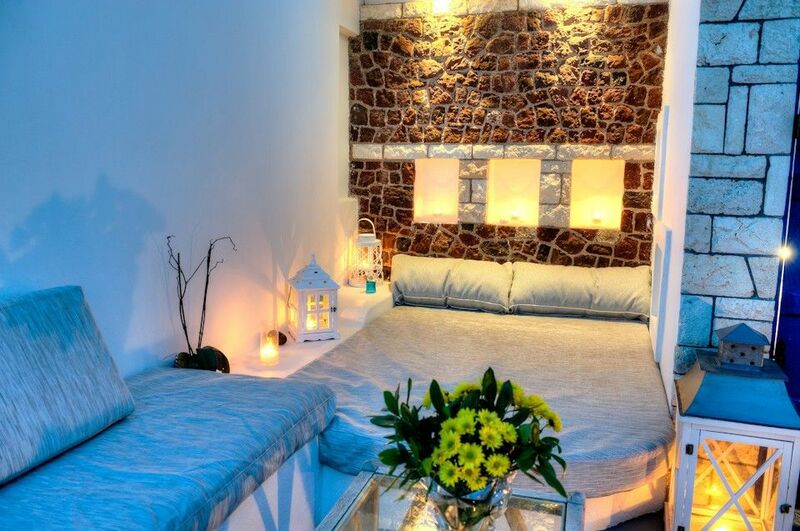 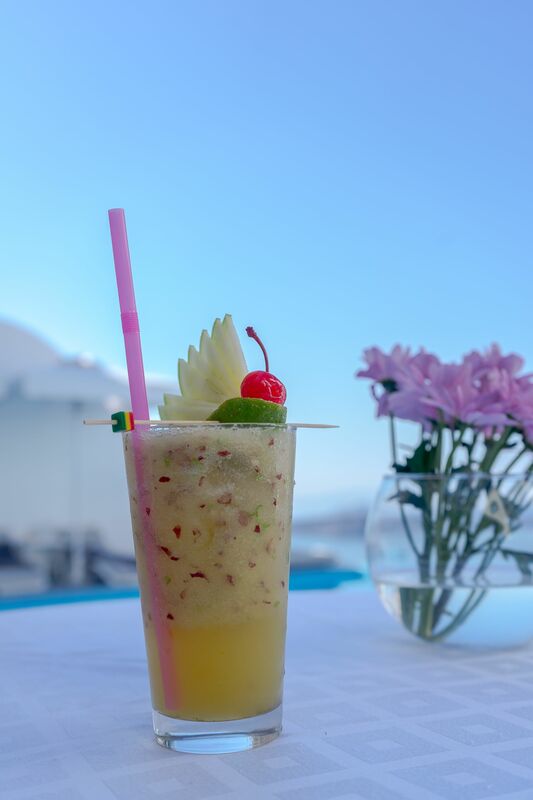 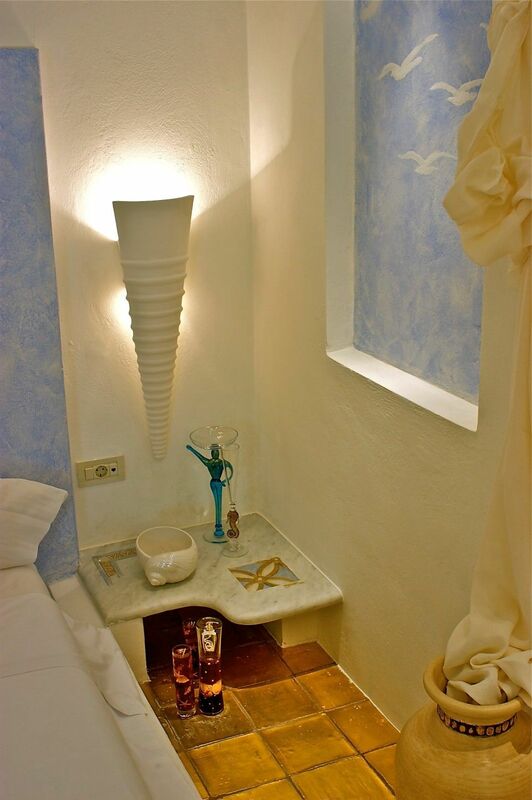 We are 9 Km from the airport, 6 Km from the port and 10 Km from the Capital city of Fira. 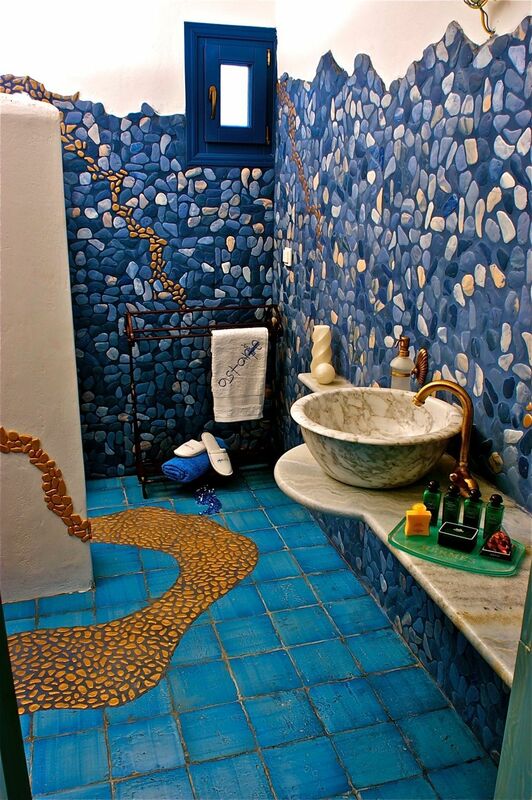 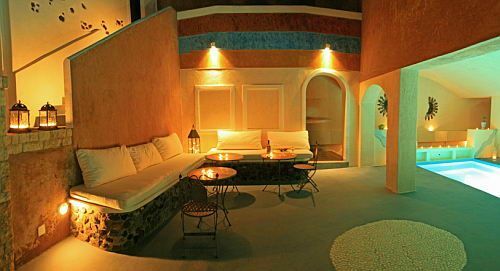 Stylish traditional Cycladic architecture is in perfect harmony with the environment as lava rocks and other earth materials are combined. 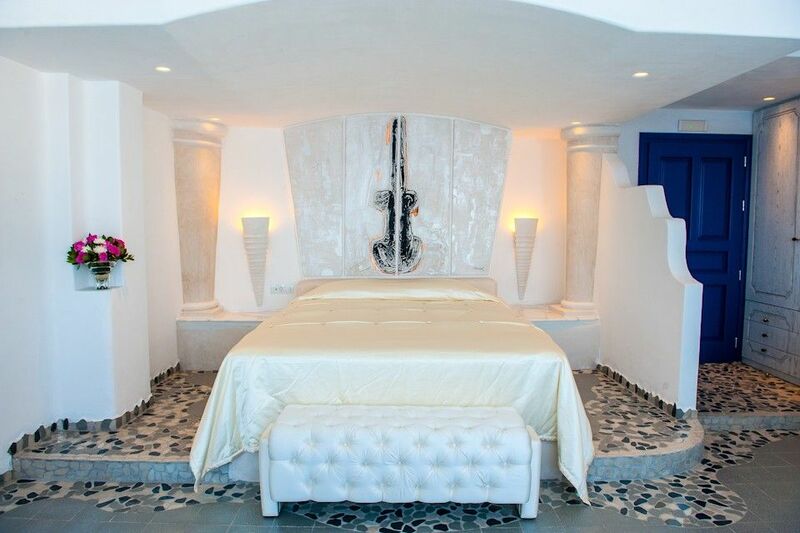 The interior design is inspired from ancient Mediterranean cultures distinguishing each suite’s different personality and character. 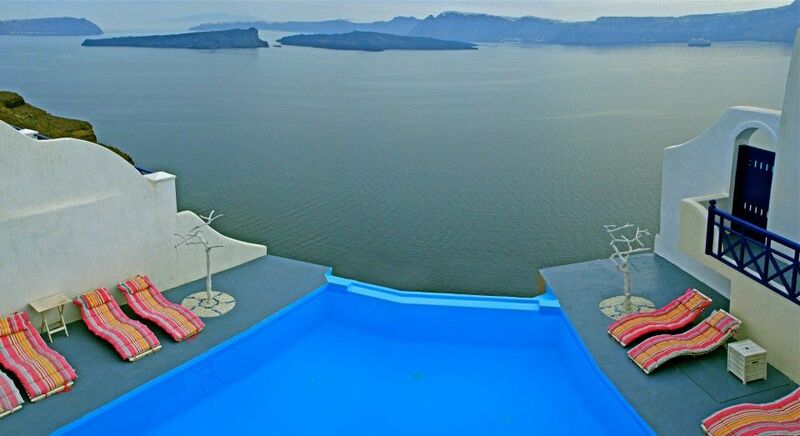 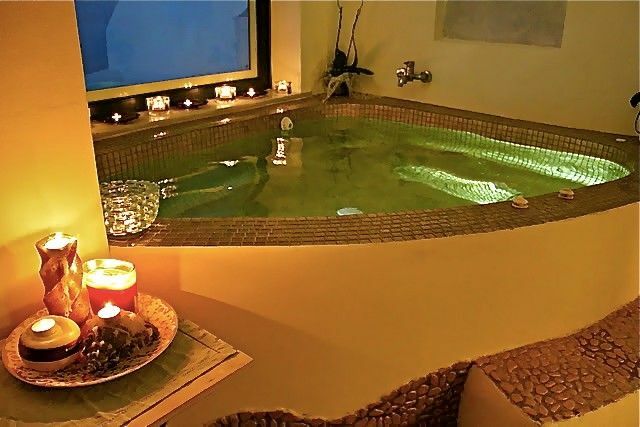 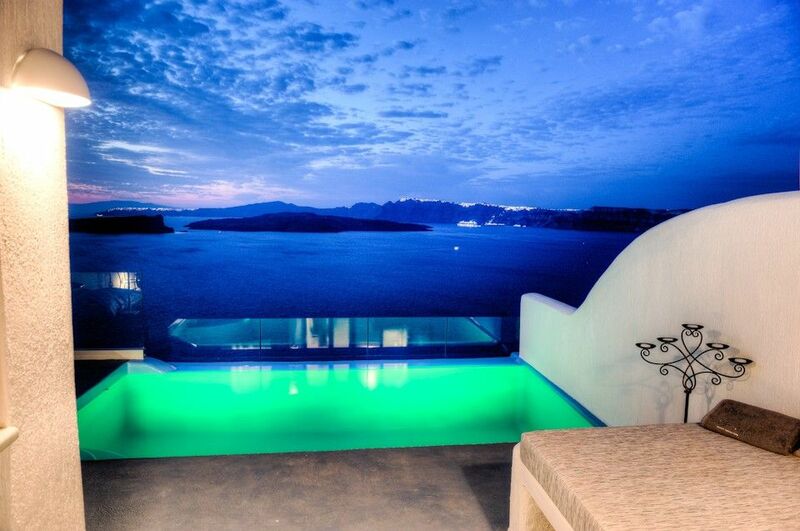 Large infinity pool with Jacuzzi, pool bar, snack bar, sunbathing deck. 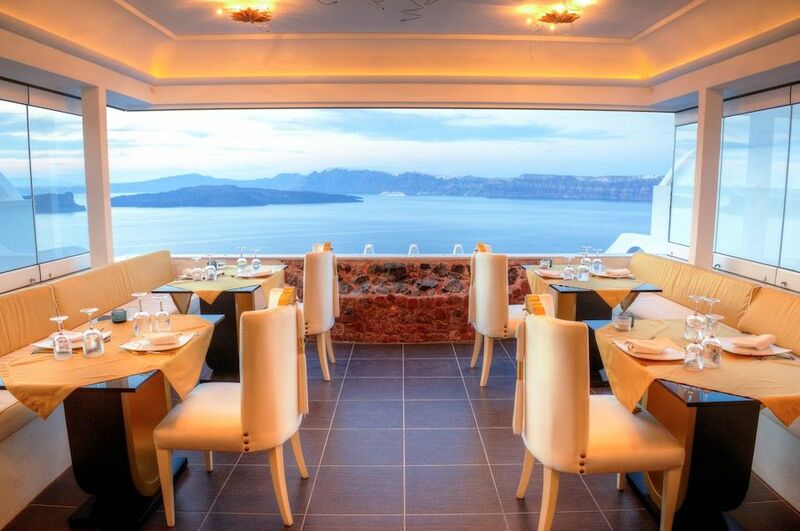 Alali Restaurant offers a dining experience for every taste. 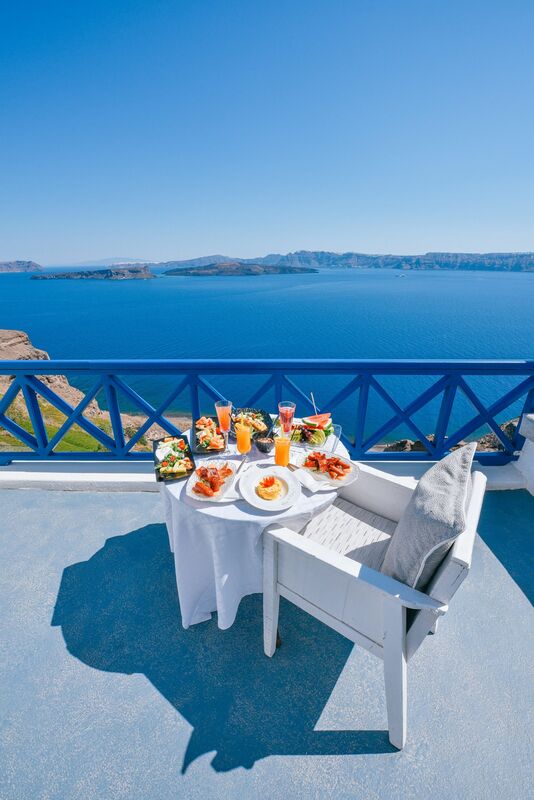 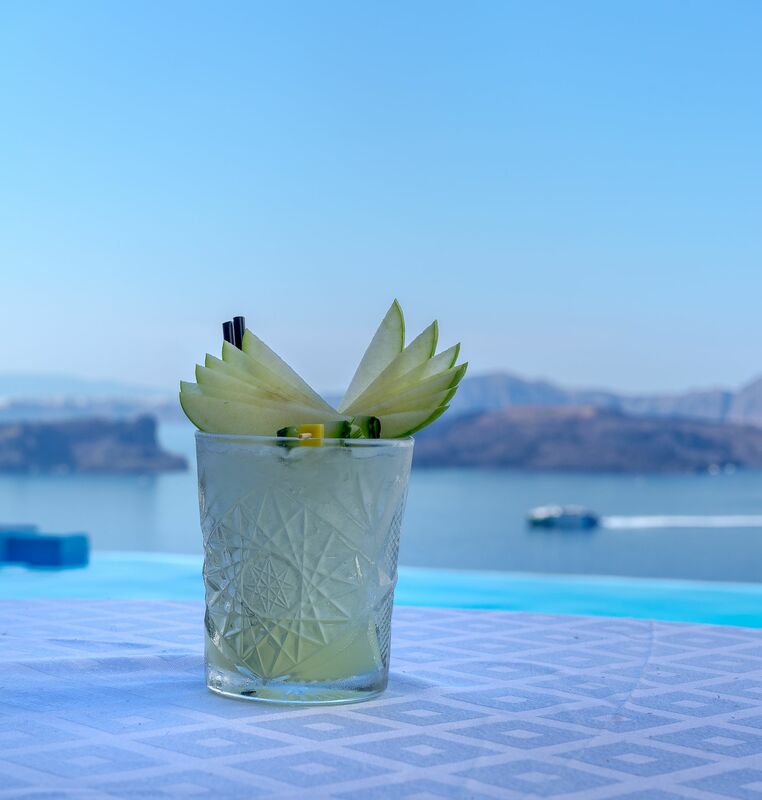 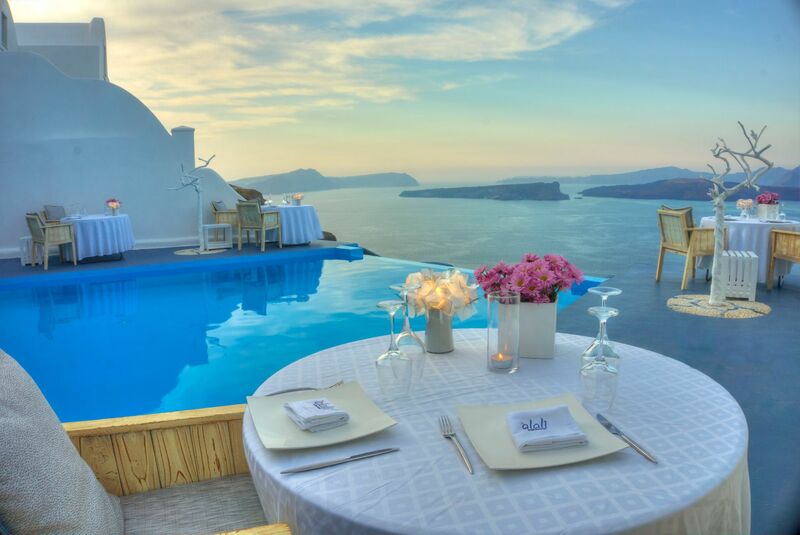 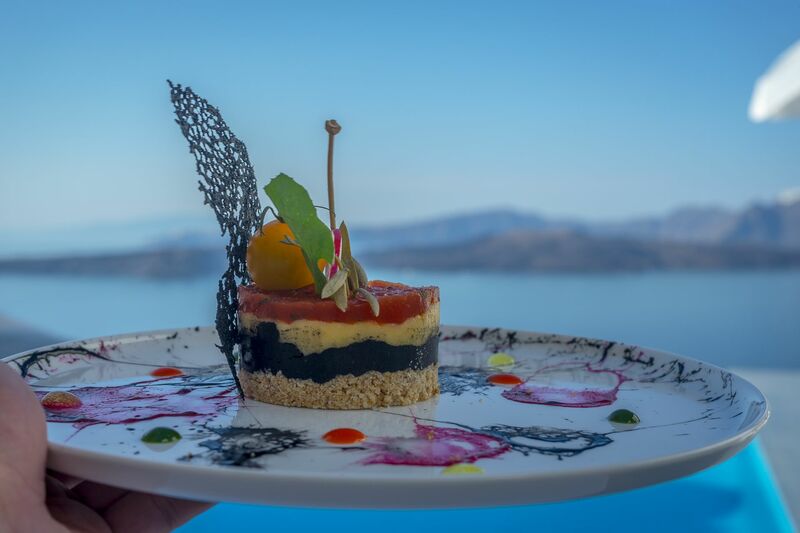 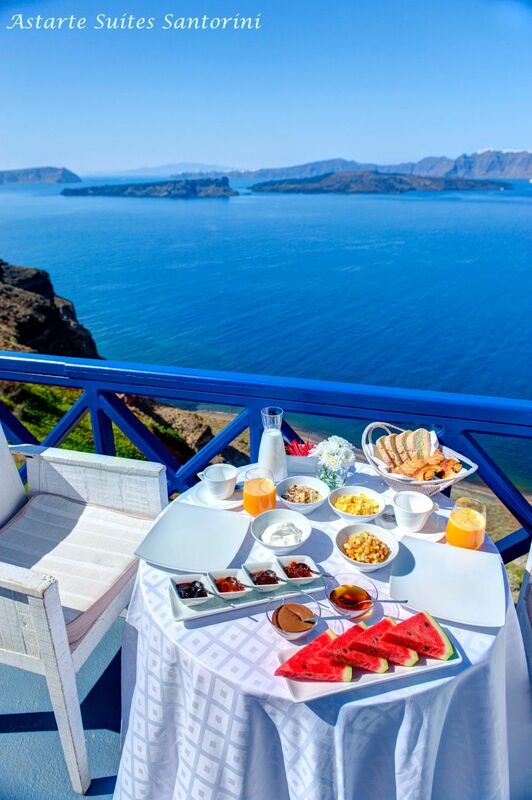 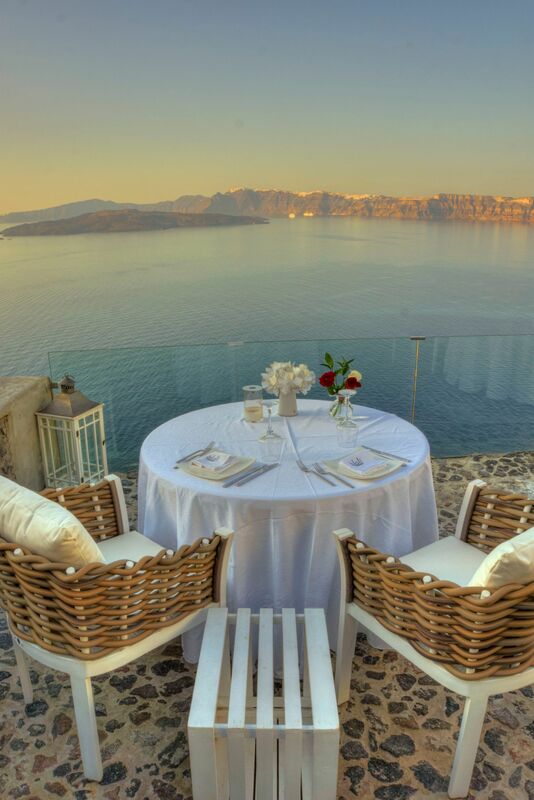 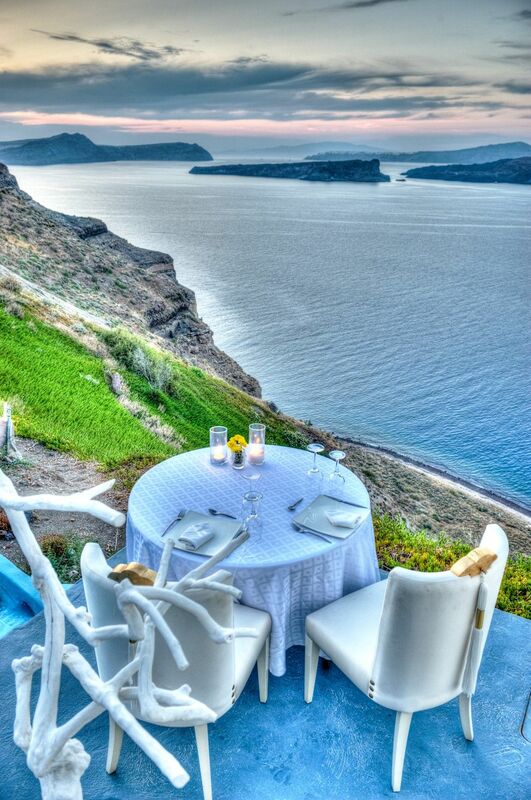 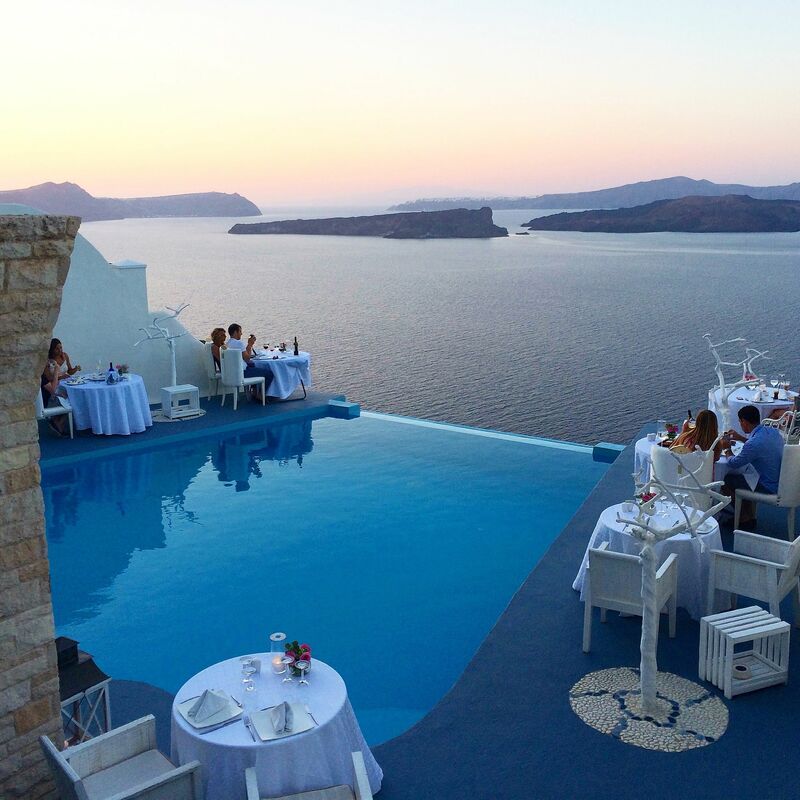 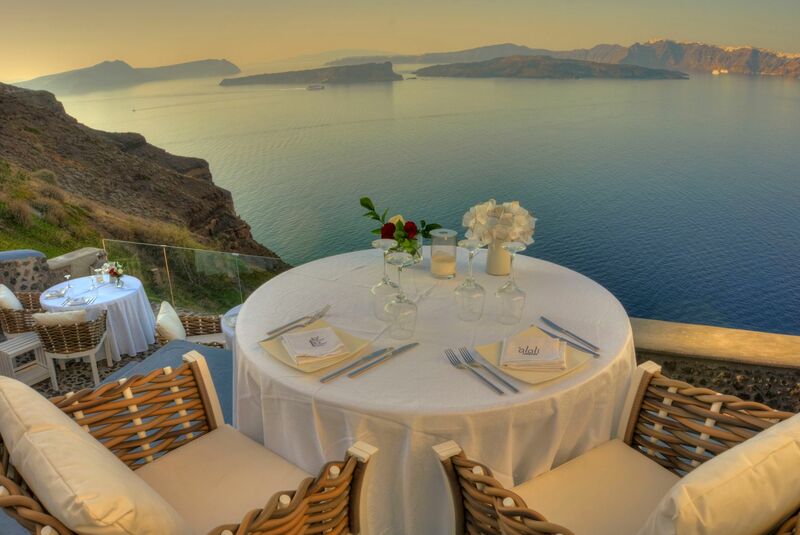 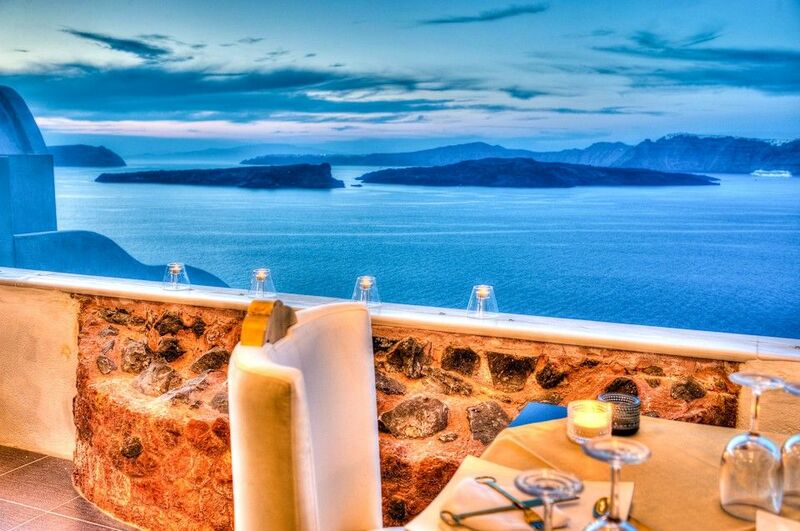 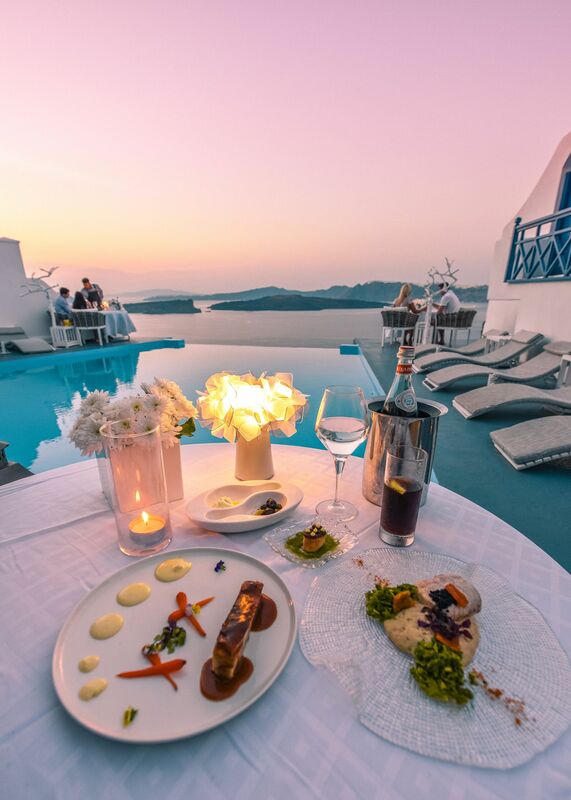 Its unique location on the rim of the Caldera of Santorini ensures of stunning views, while its broad menu will delight your palate with its contemporary take on traditional Mediterranean cuisine.Private dinners. 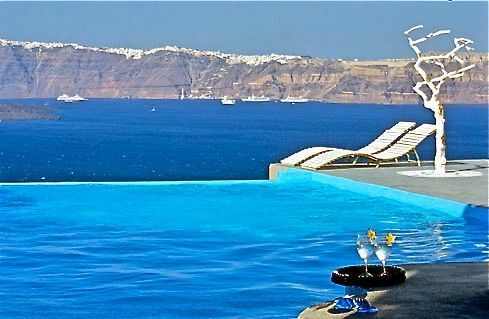 Visa and Master Card are excepted, business services including fax, photocopying and laptop rental; a big variety of self-driven cars (from Smart cars to luxurious SUVs or convertibles) or chauffeur driven cars for hire; Catamarans, sailing boats or magnificent motor yachts for hire; private jets and helicopters for hire; tailor made excursions, wine tasting or cultural tours; tickets issuing; daily newspaper; beach bag with XL beach towels, picnic hampers; film processing and florist. 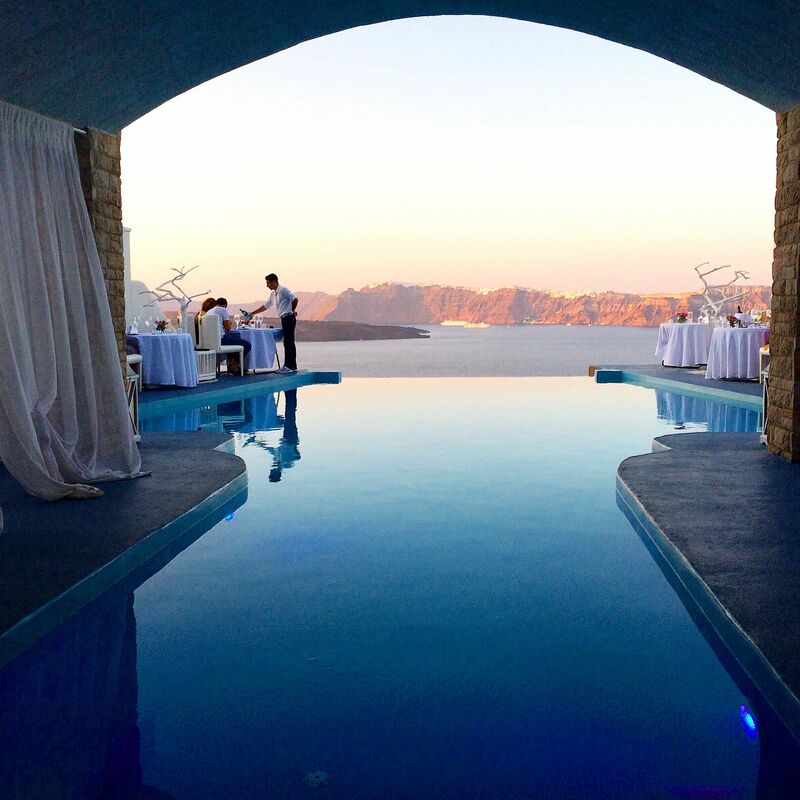 What would be more ideally than to be united with your beloved one overlooking the ocean from our extraordinary wedding pavilion? 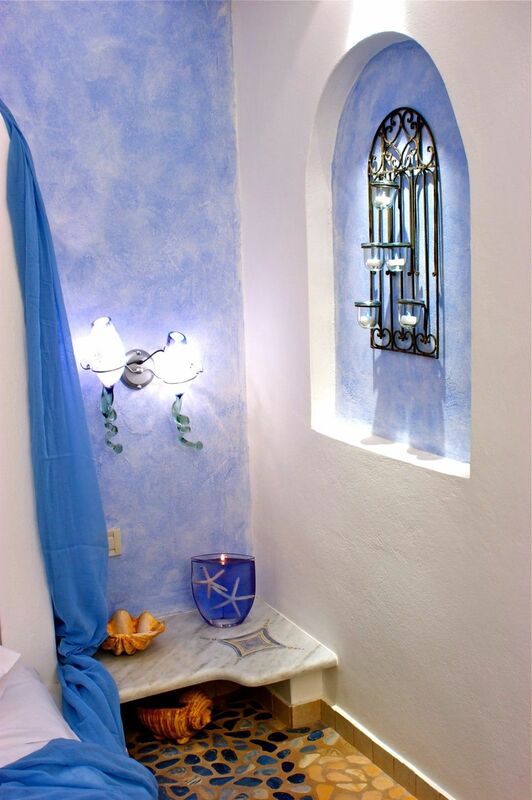 The ceremony could also take place on a nearby blue dome chapel. 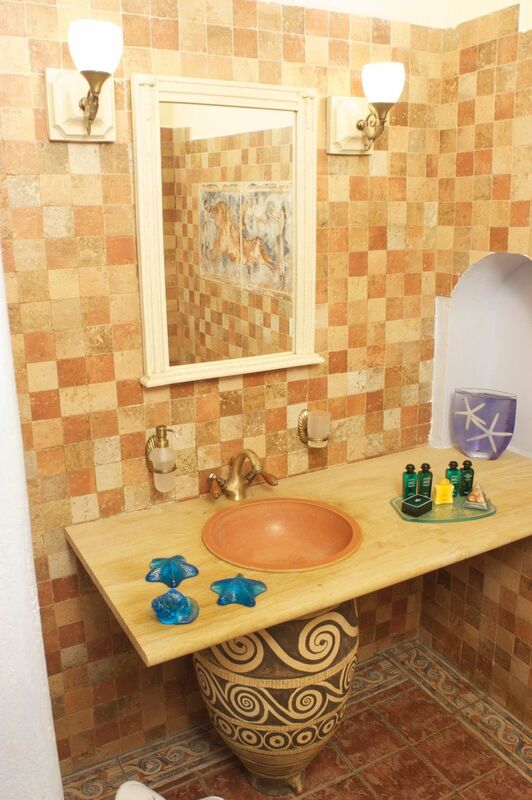 Our property operates from 8 Apr to 31 Oct.